Of course, when your kids are grown & out of the house, and you’re not even slightly religious, the point of Easter is somewhat lost on a person. Unless the point is to sell/purchase/consume candy & chocolate, in which case… bring it on. 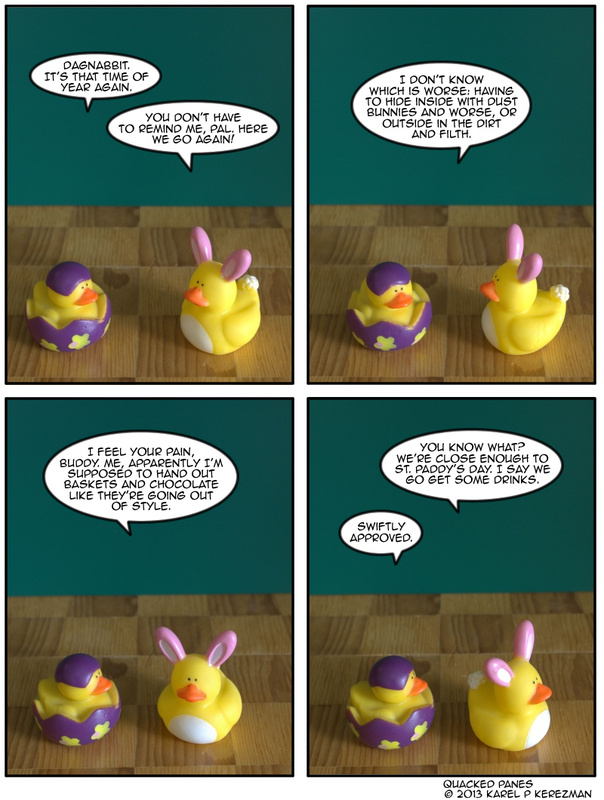 The point, as is the point of almost all holidays, is to give us a reason to photograph rubber duckies.